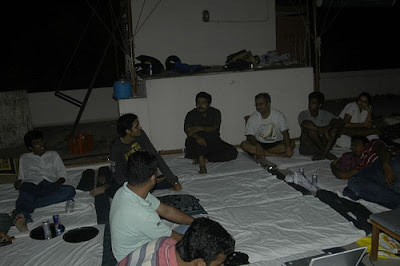 Director’s Cut at Roof Top Film Festival, Chennai | MADRAS INK. Maybe it was the laid back setting and I mustered courage to show the survivors of the night clips from the old version of That Four Letter Word. The version we had trashed. I didn’t half expect the crowd to be awake for the film we played at 4 a.m. Thank you guys. Sagaro has a report here. Here’s my own post on the Roof Top experience.